As per the analysis presented by experienced research analysts, the worldwide low intensity sweeteners market could be segmented based on product type, application, and geography. Beverage, pharmaceutical, confectionery, dairy products, and others are envisioned to be key segments of this market based on application. 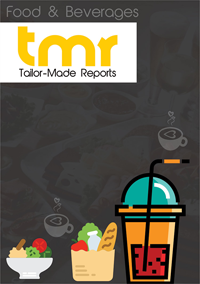 The research report on the global low intensity sweeteners market prepared by experienced analysts looks into every possible aspect that could have an impact on the market’s growth over the forecast period. The report also includes an analysis of macro and micro factors that hold significance for existing players as well as new entrants. The demand in the low intensity sweeteners market is rising on the back of soaring popularity of low-calorie food to address diabetes, obesity, and other lifestyle diseases that are on the rise. Low intensity sweeteners are used as sugar substitutes as they provide sugar like taste with reduced calories. Further, the inclination towards low-calorie diet for weight reduction and for to address associated health problems is a key factor acting stoking the demand for low intensity sweeteners. The rising incidence of these diseases in emerging economies due to recently acquired economic prosperity is attracting the attention of leading players to explore growth opportunities in these regions. Investments in research and development to introduce novel products is the focus of key leaders to serve the spiraling demand for sugar-free products. The need for diabetics to maintain glucose levels through consumption of low-calorie foods and beverages is a significant factor catalyzing the market’s growth. The immense demand for low intensity sweeteners for several dairy products is a notable factor accentuating the market’s growth. On the flip side, stringent regulations for inclusion of ingredients that are used in the manufacture of low intensity sweeteners and delay in approval are key factors impeding the growth of this market to some extent. The increased cost to introduce new products and consumer resistance for the same are negatively impacting the growth of this market. Nevertheless, the rising demand for naturally-sourced products such as stevia has opened new growth opportunities. Due to enormous economic development and increasing commitment towards healthy living, Asia Pacific stood as the leading regional market for low intensity sweeteners in 2016. Persistently increasing demand from consumers, and heavy investments for R&D of novel products could also boost the market’s expansion. These factors along with rising opportunities in India, China, and other emerging economies could bode well for Asia Pacific to remain the undisputed leader over the forecast period. Europe is significant market for low intensity sweeteners driven by the demand in the U.K., France, Germany, and Italy. Some of the prominent companies in the global low intensity sweeteners market include Cargill Inc., Ingredion Incorporated, Roquette Freres Company, E.l. Du Pont de Nemours and Company, Matsutani Chemical Industry Co. Ltd., ZuChem Inc., Spi Pharma Inc., Food Chem International Corporation, Gulshan Polyols Limited, and EcogreenOleochemicals.